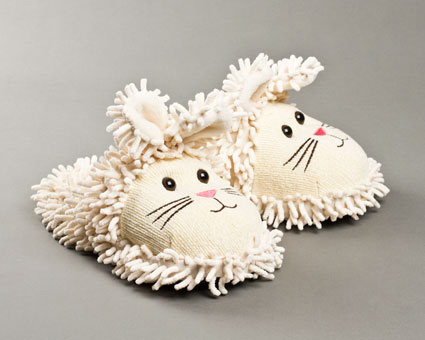 Ideal for the winter months ahead, these fuzzy bunny slippers are accented with plush trim and pink detailing on the face. 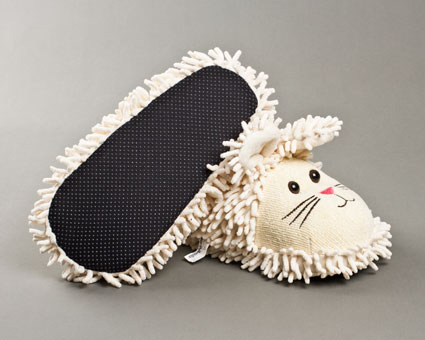 The soft, fuzzy material surrounds your tired feet, and the elastic roof keeps them in place. What are you waiting for? 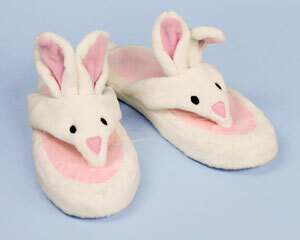 Hop into a new pair of fuzzy bunny slippers today! cute little slippers and my friend said they were SOOOOOO white. Advantages: Easy to order and send out to a friend for christmas. I have had these slippers for 2 years and they are the greatest things ever!! I'm getting more. Delivery was great and on time. They were a gift for my daughter on her 20th birthday, she loves them. They are comfortable, not hot on her feet, stays on her feet and so fun. She gave them names. Well made. 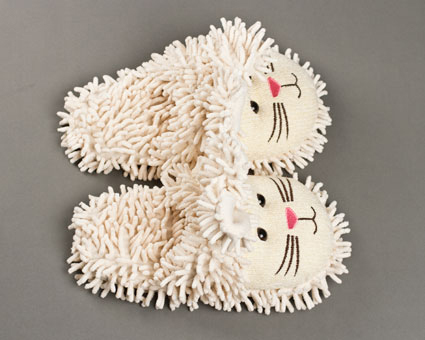 Love the slippers... easy ordering! Wonderful!! 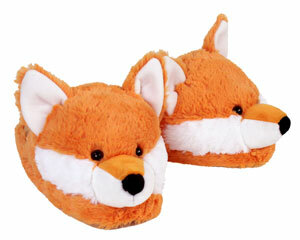 I love my slippers. I will order again. Fun and comfy! 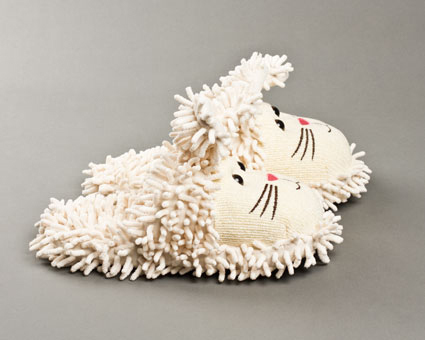 I don’t like to wear slippers but in winter I do need to. These cute cotton fiber scuffs make me smile! 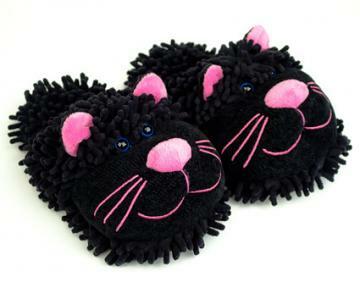 Disadvantages: They are so fluffy that they have a large “footprint “. Cute!